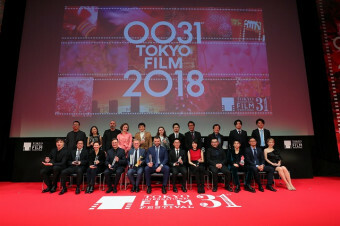 The 31st Tokyo International Film Festival Competition section film, The Bra, had an official screening at the TOHO Cinemas Roppongi Hills on Oct. 31st. 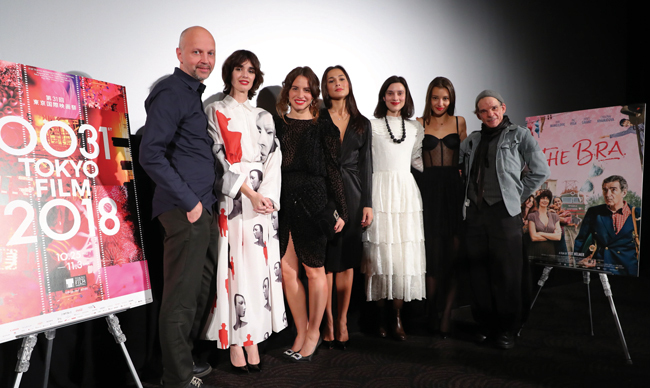 The Q&A session has been carried out in the presence of the director, scriptwriter, producer Veit Helmer and the cast of Paz Vega, Denis Lavant, Frankie Wallach, Sayora Safarova, Boriana Manoilova and Irmena Chichikova who responded to the audiences of Q&A following the screening. Nurlan (Miki Manojlović) is a railway driver who is on the cusp of retirement. He attempts to search for the owner of the lost blue brassiere which stuck to the railway train when it slipped off from the washing line. 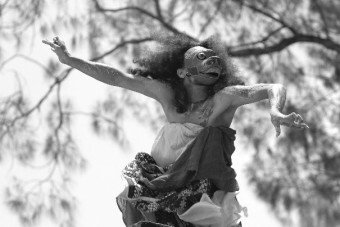 Since his feature directorial debut of Tuvalu, Helmer continues to make a depiction of the humanistic drama set in the imaginary world. He created the fantastical film by eliminating most of the dialogue through the film. Much of filming was done at Baku, the capital of Republic of Azerbaijan. Helmer confessed that “The police stopped our filming numerous times.” Currently Baku is going through a rapid redevelopment. “The government didn’t want us to film the quaint streetscape,” said Helmer revealing the reason. 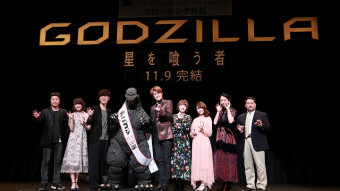 “Eventually, we had to move to Georgia, the neighboring country, during the filming,” he said, telling us about their struggles during the shooting. Furthermore, the unexpected occurrence took place. “The producer of the film deserted from the site with several staff members and took the filmmaking equipment with them. It is hard to believe that we were able to complete the film and are screening the film in Tokyo. We literally took the behind the scene documentary footage which was as dramatic as our feature film, “he said. 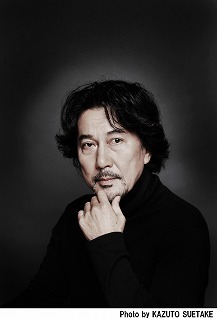 He revealed the expression of a relief and thanked the cast members who were with him. Vega who played the role of the candidates for the owner of the brassiere said “Wrapping up the film was close to a miracle. She said she “fell in love with a script without a dialogue. The film depicted the importance of love beautifully and charmingly. Lavant who also performed in Tuvalu said, “I think the two films have certain things in common. It is kindness, love and modesty. Brassieres also appear in both films as well.“ he smiled as he analyzed the director’s poetic storytelling.